Will knows what he has to do when his older brother is shot dead because, in his neighborhood, the only rules are don’t cry, don’t snitch and get revenge. Less than twenty-four hours after Shawn is killed, Will sets out to take care of the guy he’s sure pulled the trigger. But at fifteen, Will has never had to step up like this. He’s never even touched a gun. Can he do what the rules say? In a one-minute ride down the elevator of his building, Will is visited by the ghosts of friends and family who have died by gun violence, all part of a senseless cycle of lost futures. He must decide what to do when he reaches the lobby, follow the only rules he knows or break the pattern. Reynolds tells this excellent story in verse. I listened to the audiobook, which is narrated by the author, and followed along with the print copy. Seeing the specially formatted words on the page and hearing the author’s narration was a great combination. Reynolds explains in an interview at the end of the audiobook how he wanted to narrate his story to make sure his words were emphasized in way he intended. Long Way Down has received much deserved praise. It’s a Newberry Medal Honor Book, a Coretta Scott King Honor Book, a Printz Honor Book and a Los Angeles Times Book Prize winner for Young Adult Literature. It was also longlisted for the National Book Award for Young People’s Literature in addition to receiving numerous other awards. Long Way Down is a short read and listen. The audio is a little more than ninety minutes, including the interview at the end in which Reynolds tells of his own loss, his experiences in detention centers and his conversations with others caught in the trap of gun violence. It’s a short and powerful story, one that the author hopes will make readers empathize with other people’s situations. I recommend it for both Young Adult and adult readers. Here’s a really great Young Adult audiobook about the complicated dynamic of American race relations and its impact on high school senior, Justyce McAllister, an African Amercian student on scholarship at an elite school in Atlanta. Justyce has thrived in the protected environment of his private prep school and is looking forward to a successful Ivy League future. But everything turns inside out when he’s wrongfully arrested for trying to help his drunk, ex-girlfriend get home. Until his arrest, Justyce didn’t think racial profiling was something that could happen to him. But the sting of this treatment begins to open his eyes to the more subtle prejudices expressed by some of his classmates. Even his best friend, Manny, who is black, but has grown up in privilege, disappoints Justyce. To make sense of these feelings, Justyce begins a Dear Martin project, writing letters to Dr. Martin Luther King, Jr. “Be like Martin,” he tells himself. The letters help at first, but events soon go out of control. Justyce faces racial tension on many sides: from his classmates, from his mother, and from the kids in his Atlanta neighborhood who live to survive. In addition to the injustice of racial profiling, Nic Stone does a terrific job showing the many sides of this sensitive issue, including questions of privilege, affirmative action, the use of violence as well as acceptance and forgiveness. She also ties Justyce’s experiences to recent racial profiling cases, showing how even a young black man in a prep school is not protected from this dangerous thinking. Conflict builds to frightening levels and violence results in a heartbreaking loss for the students at his school. As Justyce prepares for college, he will need to take these events with him and decide how to carry himself in a world that may never be completely free of prejudice. I particularly enjoyed the audiobook presentation. Dion Graham is an excellent narrator, taking on a wide range of characters and telling an important story that is also entertaining and has feel-good charm. Stone tackles a complicated subject and helps explain the many sides in a way that I think teenagers can understand. For sixteen-year-old Alyssa and her family, the drought in southern California was nothing new. It meant conserving water, as in shorter showers and no watering the lawns. Life went on otherwise and no one was thinking disaster. No one except the McCrackens. But they were the strange, reclusive neighbors across the street who had taken their survivalist hobby to the extreme. No one to take seriously. Now what the news channels had been calling a flow crisis is a sudden Tap-Out. No water. And in a matter of days, throughout the region, civilized communities become desperate rioting mobs, with no way to get out. When Alyssa and her younger brother, Garrett are separated from their parents, it’s up to the kids to survive on their own. But how and for how long? With a hurricane occupying the rest of the nation’s attention, does anyone outside of southern California know how bad it is? It’s anything goes as friends and neighbors face the grim truth and Alyssa and Garrett must ask themselves how far they will go to survive, whom they will trust and just how much they will help others. I recommend Dry to readers who enjoy fast-paced action stories that look into how people react to threats and danger. Welcome to Book Talk, an occasional feature on Book Club Mom, home to quick previews of new and not-so-new books that catch my eye and other bookish discussions. Today I’m going to highlight five female Young Adult authors and talk about an upcoming discussion on their role in literature, but before I do that, a little history on the genre. Young Adult literature first came to the reading world in the 1960s and has been evolving ever since. What these books have in common is that they are much more realistic than what adolescents traditionally read before. The genre came to be as authors began to write about modern and grittier problems and themes, unique to teenagers. But did you know that the term “teenagers” didn’t emerge until the 1940s? It first appeared in a 1941 issue of Popular Science Monthly. Before that, the American population was divided into two groups: adults and children. You were an adult if you were in the workforce and a child if you were in school. Things began to change during the Great Depression because there were fewer jobs for Americans of all ages. So many more adolescents were enrolled in high school, not working a job. Librarians were the first to call teenagers “young adults,” in the 1940s, a term that was made official in 1957 by the American Library Association. I found this information in a great May 2018 article from Smithsonian.com, entitled “How ‘Young Adult’ Fiction Blossomed With Teenage Culture in America.” You can read it here. The following female authors write about modern teenagers and offer a nice variety of Young Adult literature. On Saturday, October 13, this group will convene at the Westport Library in Westport, Connecticut, to discuss their audiences, intentions, and themes in the YA genre. These women will specifically focus on their beliefs about the role of a female author writing about young adults in the current climate of teens today. This discussion is part of the library’s Saugatuck StoryFest Events and, if you live in the area, you can check out the details here. I enjoy reading YA books, even though I’m long past the target reading age, because I like to understand what themes are interesting and important to teenage readers. Are you a YA fan? What are your favorite YA books? High school is no walk in the park for seven angst-ridden teenagers and friendships are stretched to their limits when Paloma High School officials receive an anonymous tip about an inappropriate student-teacher relationship. In this debut novel, written by then-college student Riley Redgate, lies routinely mask the deep secrets and insecurities of students at a Kansas high school and, as the investigation continues, their secrets come out in painful revelations. The story is written from seven different points of view which the author has matched to the seven deadly sins: lust, envy, greed, sloth, gluttony, wrath and pride, giving the reader the task of figuring out which character fits which sin. While some of them are friends, others are on the fringe, but the scandal brings them together and forces them to face the moral question of what to tell. I enjoyed reading this YA novel. It has a clever structure and is very readable, but also addresses many important themes: pressure to succeed, fitting in, bullying, friendship, love, teenage sexuality, loneliness and troubled family relationships. Despite the book’s heavy drama, the story has a prevailing optimistic message: that it’s okay to be different. In addition, I particularly like how the characters grow and develop strong relationships that would have been unlikely if there had been no scandal. A couple things bothered me about the story, however. A student has overheard a conversation from behind a closed door, so no names come with the anonymous tip yet the school immediately runs with it. The principal calls an assembly and asks students for help in finding out who is involved. Then the school administration interviews each student and broadcasts updates and pleas for more information during the morning announcements. This approach seems highly unrealistic to me. No preliminary investigation before going public, full credence to the person who sent the tip. A later tip also leads to swift school action, with no checks to whether it’s valid. My other issue is that each student seems to have a serious secret, brought on by intense personal and family relationship issues in which the parents play very passive parenting roles. Of course these problems are what drive the story, but the author’s many themes are compressed into the seven students, making me wonder if any of them know what a normal day is like. To write a book like this while still in college, however, is a remarkable accomplishment and I think the author shows a lot of talent, particularly when she develops certain characters. I also love the cover, which is what attracted me to the book and convinced me to read it. I look forward to more books by Redgate and recommend Seven Ways We Lie to readers who like books with modern teen drama. Something bad happens during Cadence Eastman’s fifteenth summer on the family’s private island off Martha’s Vineyard. Cady, her cousins Johnny and Mirren and their friend Gat were inseparable and fearless that summer and they would risk everything to break free from the oppressive, greedy and narrow minded Sinclair family pressures. After an unexplained accident, Cady struggles to remember the events that sent her to the hospital and left her with debilitating migraines. Cady tells us what she can: “I used to be strong, but now I am weak. I used to be pretty, but now I look sick.” She wants to know, especially about Gat, but her family stays quiet and keeps her away from Beechwood Island. Everything is different when she returns for her seventeenth summer, but who will help her remember why? Who can resist a book about three generations of a wealthy New England family, inseparable friends (nicknamed the Liars), rivalries and teenage love? E. Lockhart does a great job setting the scene: money, interesting family drama and good looking people with strong chins spending their summers on an idyllic private island. Keeping appearances and hiding weakness are Sinclair rules and the reader soon sees that this kind of lying runs in the family. That’s enough for me, but The Liars is much bigger and is full of mystery and suspense. Lockhart leads the reader through a series of jumps between present and past, filling in details, but leaving a shocking discovery to the final pages. This is a terrific Young Adult story about how the mysterious events of one summer force an entire family through painful changes that just may bring them closer. I recommend The Liars to readers who like suspenseful family dramas. I read We Were Liars as part of my Build a Better World Summer Reading Challenge to read a book suggested by a friend. Samantha and Veronica Cross had to start fresh when they moved with their mother Darlene from Newfoundland’s Calmer Cove to St. John’s. Attending a new high school and making friends were their first challenges and soon they discovered the charms of Ben Swift, a handsome local boy with his own troubles. As the sisters rivaled for his attention, jealousy and misunderstandings threw the Cross family off balance into a spiral of disaster. Calmer Girls is Perry’s first coming-of-age novel about the Cross sisters. Calmer Secrets picks up in 1998, four years later. If they thought the teenage years were turbulent, they are now learning that relationships in their twenties can be just as complicated. Veronica is a single mom to three-year-old Henry and Samantha is an art student at Grenfell, seven hours away. Their old friend Ben may be far away at the moment, but he’s on the minds of both girls, for different reasons, and it will be a long time before the sisters forget what happened. Veronica copes by finding, then quickly discarding boyfriends. And while on break, Samantha takes up with her old friend, Kalen O’Dea. He’s charming and gorgeous, and fronts a popular cover band in town, but there’s something puzzling about his behavior. Veronica warns her, but who is she to give advice? The real elephant in the room, however, is Darlene’s drinking. She’s met a new man, Cash, who owns the Bambury Tavern and the two work side-by-side. He’s a great guy, but can he see the problem? How long can the family look the other way? In addition, painful secrets about the Calmer sisters’ past are coming to the surface. Are these secrets best confronted or pushed back down? Calmer Secrets is an excellent story about the difficult and unsettled years that are the twenties. As with all quality writing, Perry’s storytelling flair is enhanced by her descriptive talent. Reading about St. John’s makes me want to move there and, thanks to Perry’s introductions, I feel like I already have some friends in town. As with Calmer Girls, Calmer Secrets includes many enjoyable and relatable details about the 1990s, as well as local customs, foods and phrases, giving the Calmer series a unique brand. In addition, Perry integrates themes of family, friendship, love and second chances, giving the reader a great deal to think about afterwards. I especially enjoyed seeing her characters transform and step up when they are needed most. And an extra treat are the quotes from classic literature at the beginning of each chapter, a smart detail that ties her story to larger ideas. I’m looking forward to reading more about the Calmer sisters! I recommend Calmer Secrets to all readers who like realistic stories about family and community in a friendly and colorful setting. Click here for a review of Calmer Girls. Everything changes the year Andy Rusch turns twelve. Until then, being a kid was easy in the 1950s. And in the small New Jersey town of Serenity, baseball, friends, school and helping out in his dad’s hardware store fill Andy’s days. Then one day, he befriends the town’s hermit, Onion John. John lives up on Hessian Hill, in a makeshift house built of stones. He is a fixture in town and an expert gardener, but people keep their distance because John is in his own world and speaks a language nobody understands. When Andy takes the time to listen, he opens his mind to John’s world of naïve superstition. Mr. Rusch has big plans for Andy, including college at MIT and he doesn’t approve of the friendship. He wants Andy to get out of Serenity and be the first man on the moon, a vision Andy has trouble sharing. His dad tells him he must forget John’s foolish ideas and focus on this dream. Andy wants to please his father, but whose dream is it? In an effort to understand, Mr. Rusch reaches out to Andy’s friend. The story takes a turn when Mr. Rusch and the townspeople decide they know how to better Onion John’s life. A new and modern house will civilize John and bring him into the real world. Although John tries hard to embrace his new circumstances, his old ways get in the way, disaster follows and then there’s no going back. Onion John is the story of an unlikely friendship and how well-meaning people get caught up in an idea and fail to see that change doesn’t always work. Andy understands, because, while he’s becoming an adult, he’s still a part of John’s childlike fantasy world. And sometimes a child’s logic is the best. It would’ve been better for everybody if he didn’t try so hard, to change. First, he wasn’t very good at it. And second, I didn’t see anything wrong with the way he was. This interesting coming of age story is a little dated, but its themes of family, community, dreams and doing the right thing are timeless. Click here to read more about Joseph Krumgold on Goodreads. He was the first author to win the John Newbery Medal twice! Note: Summer is over, but I’m still reading my Summer Reading Challenge books! I chose Onion John to fill the category of a book that was published the year I was born. 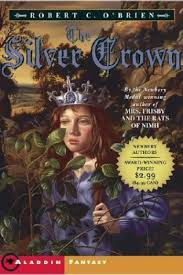 I discovered later, however, that it was published before I was born, but that it was awarded The Newbery Medal the following year. I say that counts! Now that the kids are back at school, lots of middle-schoolers are reading historical novels like Fever 1793, the story of Mattie Cook, a fourteen-year-old girl living in Philadelphia during the Yellow Fever plague of 1793. Mattie must grow up quickly during that summer, as the fever strikes her family and friends. She makes difficult decisions and learns hard lessons about survival, life and love. Anderson weaves history into her story and the reader learns about these difficult times in early America, as well as about how people lived and how the black population built a powerful supportive network to help them through sickness and hunger. She also includes a great deal about doctors’ different approaches to healing the sick and the heated debate over these methods. I like how Mattie matures during this time. Anderson shows how, despite vastly different circumstances, young teenagers of all time periods share similar feelings of love, loyalty and rebellion and must make difficult decisions that ultimately shape their adult characters. Although the story includes sadness and loss, Fever is more a story of hope and survival with a definite feel-good ending.